Comedian Mike Birbiglia will kick off the Student Programming Association’s “Comedy Month” at 8 p.m. on Monday, April 4th in Alumni Hall. Free tickets will be available to students with valid Penn State photo ID every day during the week of March 28th on the first floor of the HUB. Tickets will be available to non-students for $5. Selling out concert halls nationwide, three standup comedy specials on Comedy Central, and a hit off-Broadway show all adorn Birbiglia’s resume. He is perhaps most famous for the 2009 off-Broadway show Sleepwalk With Me, called “simply perfect” by the New York Times and named “Comedy of the Year” by Time Out New York. He is currently working on a film adaptation of the show, which he will write and star in. Birbiglia also contributes to This American Life on Public Radio International, as well as to The Bob & Tom Radio Show. In addition, he has made appearances on Jimmy Kimmel Live, The Late Late Show with Craig Ferguson, The View, The Late Show with David Letterman, and the Emmy award winning This American Life on Showtime. If all that wasn’t enough, Birbiglia recently released a book, Sleepwalk With Me and Other Painfully True Stories. 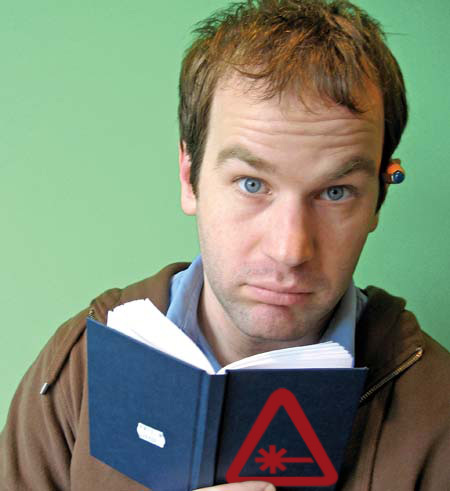 For more information on Mike Birbiglia, visit http://www.birbigs.com/.